This week on CommanderCast Andy is BRINGING THE INFORMATIONS with Adam and Donovan. Providing us with fierce backup we have Bennie Smith, who started writing about Magic like a week before the Big Bang or something. This week he has decided to grace our podcast with his presence. To investigate Bennie’s body of work, one need go no further than StarCityGames.com, where his long history of authorship is chronicled (they’re still translating some of the stuff he wrote on animal skins with his own blood… this is metal). He is the best advocate for Commander as a format on one of Magic’s biggest websites, and that’s a pretty big deal. 00:00 to 04:27: Intro: We are introducing ourselves, providing a bit of a preview to the Mid-Week Update, and a reminder about the contest. 04:35 to 14:49: Community: Free-For-All Roundtable: Hermit Druid: Recently there’s been some debate on the bannability of Hermit Druid. As is our up-to-the-second nature at CommanderCast, we’re debating the topic. Carlos will probably strangle me for not putting him on this one but whatever, I don’t need air to live. 15:00 to 30:21: Community: Sideboards: As per Bennie’s recent article, this week we’re looking at the optional Sideboard rule in Commander. The ten-card sideboard has been an optional rule on the books for a long time, but it’s super rare to see in play. So what’s the deal? We’re giving a general discussion on the topic; why use sideboards, what is their purpose, and how do they change your games? 30:34 to 31:53: Deckbuilding Challenge: Phase 3: We’ve got our number of colours and $40 limit. Now, we’re picking our colours. Scope the upper-left corner for our poll. What will Carlos do? The suspense is making me vomit! 32:06 to 33:38: Community Spotlight: BelcherSucks: This is a site run by my man John, who produces some quality material on Commander. He updates about once a month. Topics are generally awesome, and the articles are very high-content. It deserves a look. Please follow the link. 52:30 to 1:12:06: Strategy: ‘That Guy’ Status: We’ve all read complaints about ‘That Guy’ in EDH; the guy who wins too many games, the guy whose decks are all disproportionately expensive, the guy who talks like he’s the greatest thing to happen to Magic since Chaos Orb. When you are ‘That Guy’, what are the strategy ramifications? How can you use it to your advantage? How do you pass on the ‘That Guy’ belt if you need to lose it? 1:12:18 to 1:26:20: Entourage: Chisei, Heart of Oceans: The Ib Halfheart nation was born with our last Technology segment. Given it’s wild success, it only seemed to make sense to do another one. We have a real turd this week with Chisei, Heart of Oceans. Can we build a worthwhile skeleton around this thing? Listen and find out. If you want more Entourages, please send us in some more sub-par Generals, we’d love to see what else we can pull off! 1:26:34 to 1:49:01: Technology: Bad Cards We Love: Everyone has pet cards. sometimes these are not ideal pets, but we love them despite their flaws, like a dog that refuses to do anything you ask it to do, or a bird that won’t stop pooping on your head (less likely). 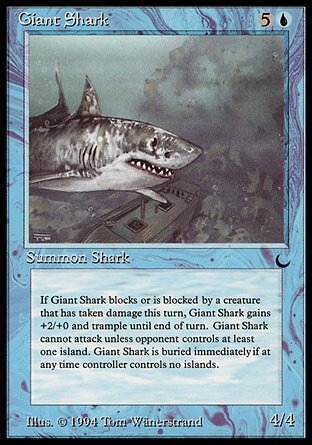 These cards are the MtG equivalent. Sick article featuring the rules for Star.